There’s no escape from pampering, stress-relieving, muscle-relaxing and sheer indulgence when cruising. Here’s our choice of the best on board. 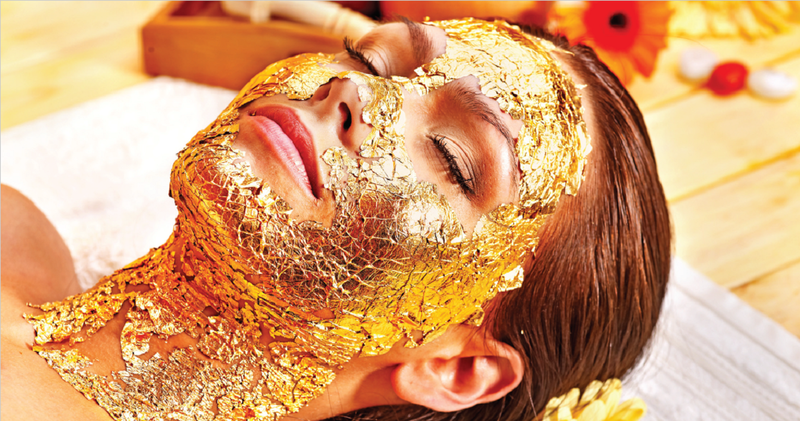 Celebrity Reflection’s AquaSpa sets the gold standard with its facial offering of a 24 carat gold leaf mask. Alongside the usual menu of wraps and scrubs, massage and manicures the spa also offers a programme of fillers and Botox in its superb two-deck location. Uber luxury is at hand in Seabourn’s Penthouse Spa Suites (Odyssey and Quest) – which are there for those who want to make use of spa facilities during their time at sea. All have large private verandahs and two in-suite mini bars – one offering standard drinks and mixers and the other healthy drinks and snacks! Spa access is via its own spiral staircase. Windstar’s Wind Surf spa suites are pampering palaces on board – their aromatherapy essences are changed every day, while each evening the turndown gifts are of lavender hand cream, night cream, eye gel or body lotion. Added to which there are specialist bath gels and oils from L’Occitane, a pillow menu offering everything from organic buckwheat to lavender, and a selection of herbal and well-being teas and tisanes. Not only that but spa suite guests enjoy two facials, two massages and two grooming treatments plus unlimited fitness training, yoga and pilates classes during their cruise – and there is a spa concierge to help organise everything. It takes a legendary spa to devise unforgettable experiences – and such is the case when Canyon Ranch SpaClub, native of Tucson, Arizona, went to sea with the glorious Queen Mary 2. The largest spa at sea, with 24 treatment rooms, saunas, steam rooms, an aquatherapy suite, thermal pool, fully equipped gym and a host of specialists to tend to every need from top to toe…for men and women. 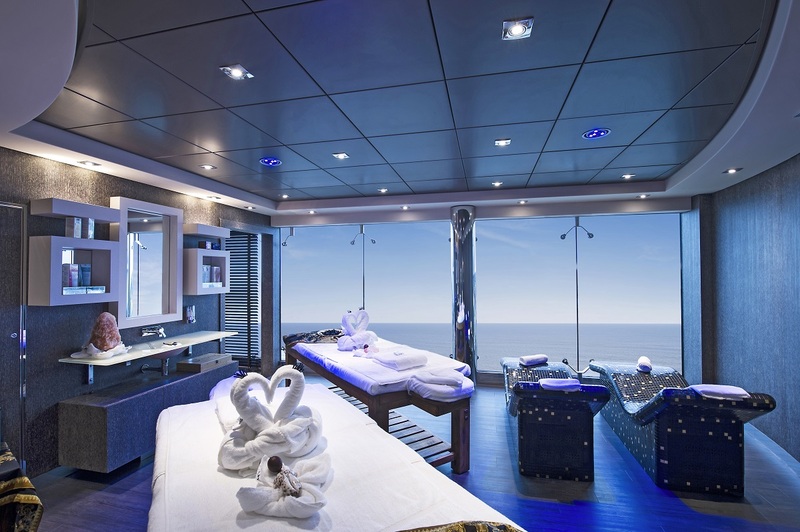 The Aurea Spa on MSC Divina has a comprehensive thermal suite of hydrotherapy pools, steam room and sauna, but also offers a wide choice of massages – from Balinese to Swedish, Thai to shiatsu, alongside aromatherapy and hot stone. Add to this the complete beauty works of facials, manicures and pedis, a spa doctor to advise on skin and age management areas, and the most up-to-date fitness facilities, including the very latest in aqua exercises – spinning classes on the specially designed hydro riders. P&O’s Azura has teamed up with Elemis to offer some of the most pampering and exclusive treatments at sea. Among the more exotic are a 24 carat gold facial, a pro-collagen quartz lift facial, a bamboo massage and a scented steam rasul, but there is also the usual comprehensive Elemis menu of body wraps, scrubs, manicures and facials as well as a plethora of anti-ageing therapies to choose from. Many of these can be enjoyed at the Spa Retreat – an outdoor terrace on an upper deck with special cabanas for extra privacy. Experience a world of spas during a Costa Cruise at a Samsara Spa which offers a menu of treatments and experiences from around the world – from ayurvedic massages to Turkish baths, from thalassotherapy affusions to temples of peace for relaxation and meditation. Added to which there are fitness programmes, facials and barber shop specials. Viking, a newcomer to on-board spas, has teamed with Raison d’Etre, a Scandinavian company, to launch its first spa at sea with Viking Star. Not only are the treatments and therapies based on Nordic traditions – Swedish massage, hydrotherapy pools and of course saunas – but Viking introduced the first snow room at sea (since followed by Norwegian Escape), where snowflakes descend from the ceiling to chill the air and cool the body. Adventurers need cossetting too, which is why Quark Expeditions has introduced spa treatments on the Ocean Endeavour. Massages, baths and body treatments are provided by Voya, the Irish Spa brand whose products are based on the healing properties of seaweed all harvested from the west coast of Ireland. Quark’s signature treatment is the Explorer’s Revive Ritual – a massage which is ideal for restoring aching muscles and dry chapped skin. The facials are great, too. 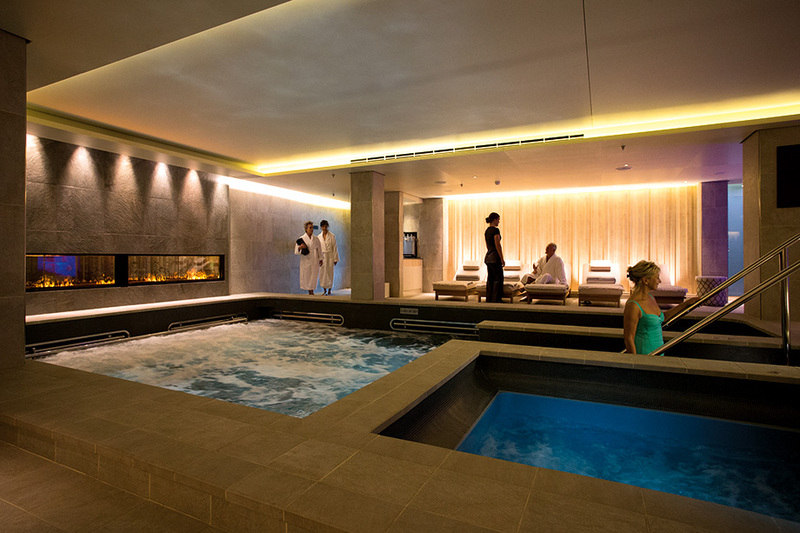 Canyon Ranch SpaClub has also joined with Oceania Marina to bring many of its iconic rituals and treatments to sea, including of course its renowned Canyon Stone Massage, alongside the ageless oxygen boost – and a few just made for sea, such as organic body sea wraps and an ocean scrub. In total, there is a choice of some 50 treatments and therapies, plus a special spa cuisine menu in the Grand Dining Room and Terrace Cafe.